Very strange goings on at Grove on 12 July 2018. 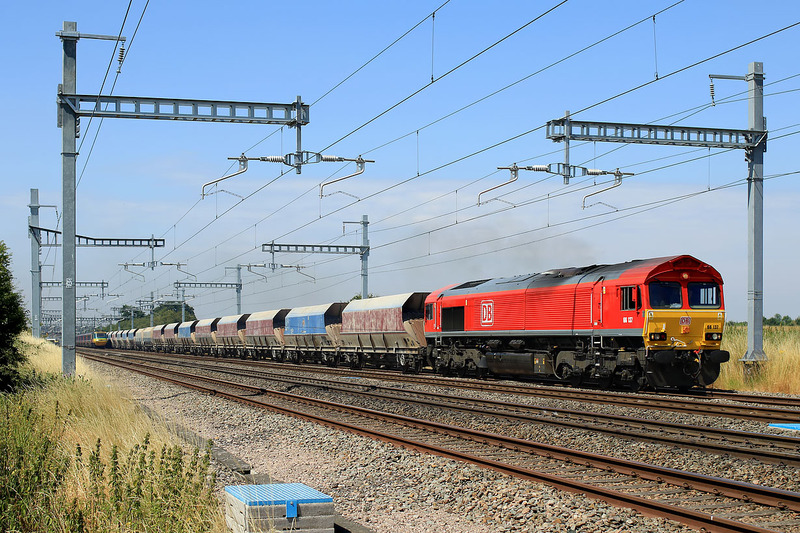 After waiting at a red signal in the distance for some time with the diverted 6M20 09:23 Whatley Quarry to St Pancras (Churchyard Sidings) stone train, 66137 started to move along the up relief line at Grove on 12 July 2018, just as 43002 Sir Kenneth Grange was approaching with the 1A79 06:47 Penzance to Paddington GWR service. Thinking that the 59 was just moving along to the end of the loop at Wantage Road, I was surprised to see the HST slowing down, and then being held at a red signal while the freight was let out in front of it! As the freight was already stopped in the loop, and this manoeuvre caused the HST to come to a stand, this seems to be a very bizarre operating practice.